"Injectable vitamin c and the treatment of viral and other diseases"
What is vitamin c, what does it do? Oral or intravenous what's the difference? The Riordan Clinic is probably most famous for Dr. Riordan’s interest in furthering research on Linus Pauling’s original hypotheses that Vitamin C could be a potential cure for heart disease, chronic infections and even cancer. His hypothesis was first developed some time in the 1950s and nearly 70 years later, it is still alive and well. Researchers all over the world, including several prestigious universities here in the states are still very intrigued by Vitamin C.
Maybe Linus Pauling was on to something after all. Decades ago the Nobel Prize–winning chemist was relegated to the fringes of medicine after championing the idea that vitamin C could combat a host of illnesses, including cancer. 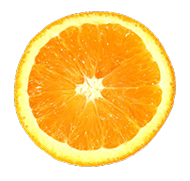 Now, a study published online today in Science reports that vitamin C can kill tumor cells that carry a common cancer-causing mutation and—in mice—can curb the growth of tumors with the mutation. GETTING a needle at the doctor’s may be a sore point for some, but not for an ­increasing number of Gold Coasters who are injecting vitamin C directly into their bloodstream. A Varsity Lakes doctor says there has been an increase in people opting for unconventional intravenous vitamin C therapy over ­taking traditional vitamins to improve the immune ­system and help with other conditions. A compilation of pioneering literature, video, and research.